Note: Updated photos to come! Pics are of pre-production prototype. 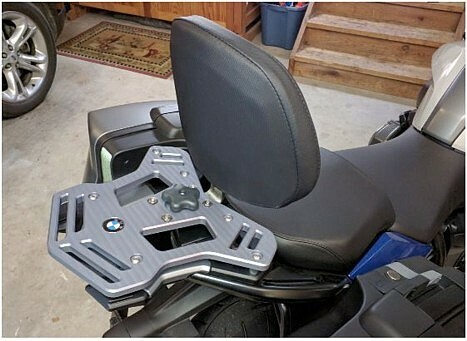 Behold... the BMW R1250RS / R1200RS Stealth Backrest. 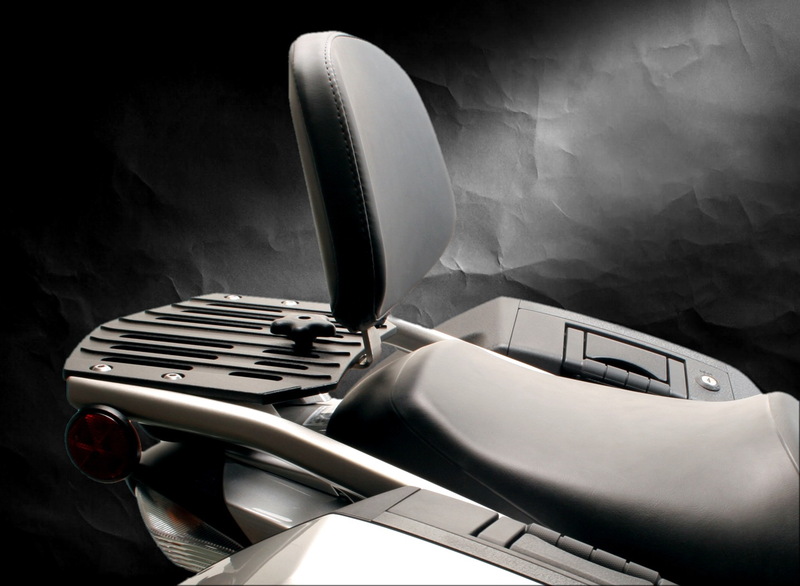 After over a year of research and development, the latest Stealth backrest from Pirates' Lair has turned out to be a thing of beauty, simplicity, comfort and.. a worthy addition to the Pirates' Lair line of specialty motorcycle products. Our light-weight aluminum stealth rack bolts directly to the oem luggage rack in under 10 minutes with basic tools and intellect. It will look spanktacular on the bike. The backrest's polished stainless steel slide bar slides on and off the bike in under 20 seconds. No modifications necessary. Just bolt it on and give your passenger the support and comfort they deserve/demand when they need it and say good-bye to those pesky fingernail imprints in your ribs..
Each Pirates Lair R1250RS / R1200RS Stealth Backrest kit includes a sleek and sturdy aluminum rear rack (available in a textured black finish), mounting hardware, and one hand-matched removable backrest. FYI.. Our first class upholstery is done by world renowned custom seat and backrest maker.. Sargent Cycle Products They have furnished imported materials that are almost an exact match visually for the oem seat material. Very clandestine. Blends perfectly with the rear of the bike. Full 2 year replacement warranty. 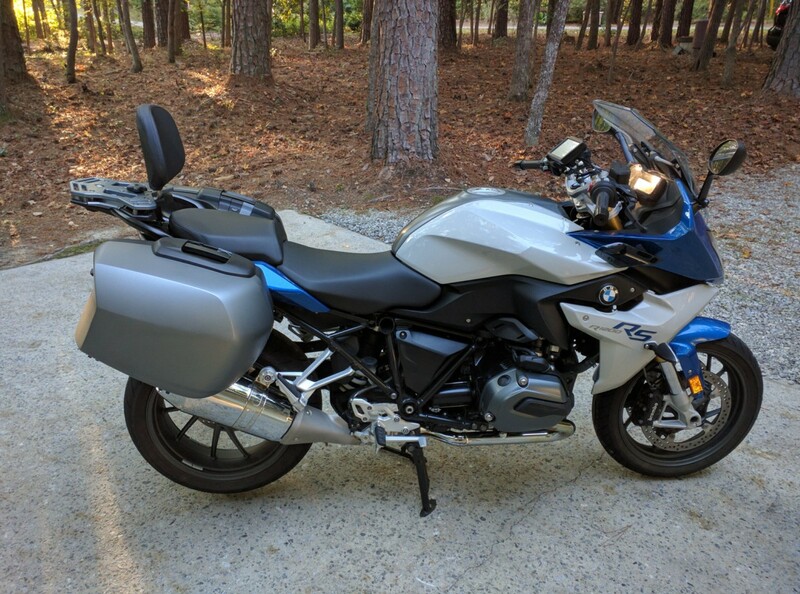 My goal was to make our R1200RS Stealth Backrest look factory and preserve the bike's beautiful lines and I think we succeeded. Pirates' Lair also offers optional semi-soft luggage for your Stealth from CDL, Enterprises.. makers of T-Bags.. 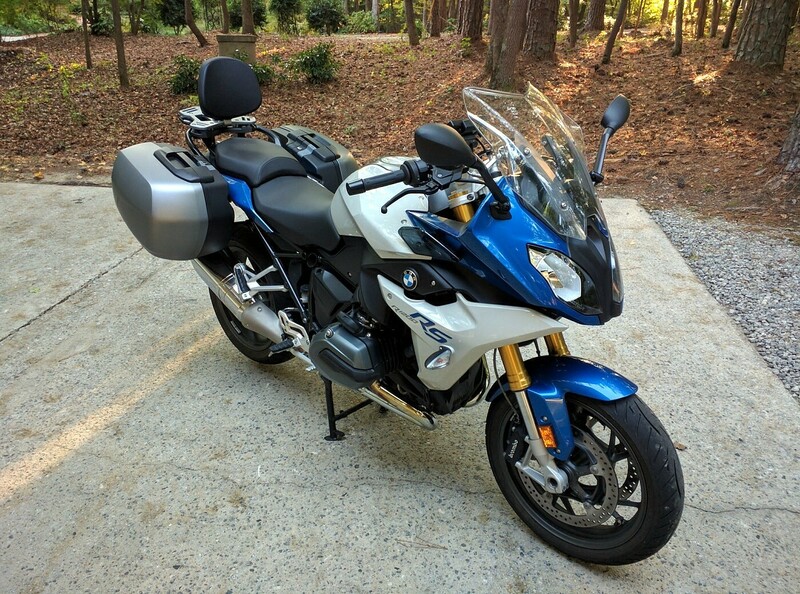 Install of the R1200RS stealth rack is chimp easy taking all of 10 minutes. See link below for full installation instructions. 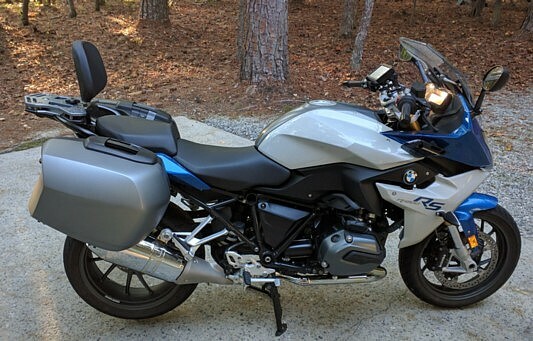 Fit's the 2015+ BMW R1200RS and 2018+ R1250RS. Manufactured in the USA by Pirates' Lair. How To Install the BMW R1250RS / R1200RS Stealth Backrest.. Coming Soon! View With Passenger Aboard.. Coming Soon! For Customer Comments.. Coming Soon! 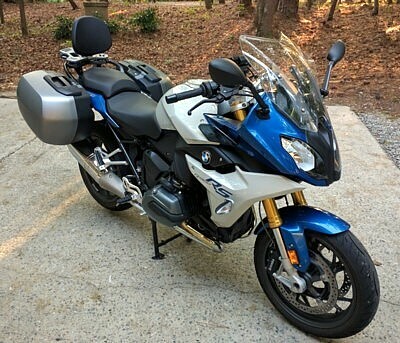 BMW R1250RS / R1200RS Stealth Backrest $000.US (USPS Priority Shipping Included) In Production! Not Taking Pre-Orders! New Product!